In September of 1620, 102 passengers—men, women, and children—and a crew of approximately 30 people left England aboard the Mayflower to seek freedom to practice their religion and opportunity in the New World. After a harrowing sixty-six day voyage across the Atlantic, the Mayflower arrived in Cape Cod; by December of 1620, the passengers planted the first permanent settlement of New England in Plymouth and laid the foundation for America. The Mayflower passengers did not, of course, land in a place devoid of people or culture. They arrived in the Wampanoag Nation. By commemorating the landing of the Mayflower, we honor the story of the Pilgrims and of the native Wampanoag people. Their stories, collectively and individually, embody the triumphs and tragedies of life in early New England, and in the country itself. The legacy of the Mayflower can also be seen in the growth and expansion of the country. While nearly half of the 102 Mayflower passengers who arrived on the shores of Massachusetts died during the first winter, twenty-six families of passengers are known to have left descendants. Currently, it is estimated that some 30 million people can trace their ancestry back to the Mayflower. Here at the New England Historic Genealogical Society—the first genealogical organization in the world—we serve as the nation’s collective memory for family history. We bring together a broad and diverse audience seeking to understand the past by educating, inspiring, and connecting people through our scholarship, collections, and expertise. As we commemorate the landing of the Mayflower—an event of national and international significance—we will engage people in a series of programs, publications, exhibitions, and tours that will touch on the key themes of exploration, innovation, religious freedom, self-governance, immigration, and Thanksgiving as we honor and learn from the enduring legacies of the Pilgrims and the Wampanoag. Join us to explore your heritage, to understand your family’s unique place in history, and to be a part of the Mayflower story. New England Historic Genealogical Society (NEHGS) is America’s founding genealogical organization and the most respected name in family history. 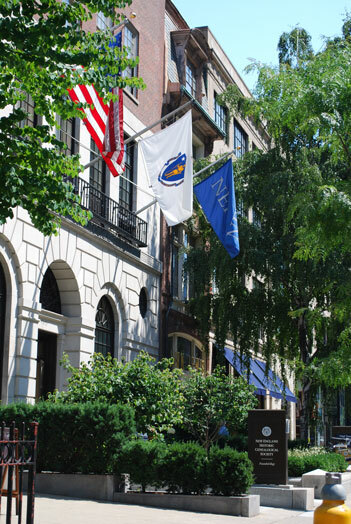 Established in 1845, NEHGS is the nation’s leading comprehensive resource for family history research and the largest Society of its kind in the world. We provide expert family history services through our staff, original scholarship, data-rich website, educational opportunities, and research center to help family historians of all levels explore their past and understand their families’ unique place in history. An Expert Staff: Our professional genealogists are among the most respected and advanced in the profession. With research specialties including early American, New England, New York, Irish, English, Italian, Scottish, Atlantic and French Canadian, African American, Native American, Chinese, and Jewish genealogy, our expert staff can assist family historians by providing research advice in-person, over the phone, or in writing. Our expert staff can also conduct research on behalf of family historians, providing authoritative, documented research reports and family tree charts. Original Scholarship: To support the research of family historians around the world, W\we produce the most significant original research and important publications in genealogy, including, since 1847, the longest continually published academic journal in the field, The Register, the journal of American genealogy. In addition to the quarterly journal, we publish a quarterly magazine, the biannual Mayflower Descendant, the venerable journal of Pilgrim genealogy and history, twenty-to-thirty books per year, and a weekly electronic newsletter, The Weekly Genealogist. As the leader in genealogical scholarship, we also produce important study projects such as The Great Migration Study Project, an endeavor to create genealogical and biographical sketches of the some 20,000 individuals who arrived in New England between 1620 and 1640; The Early New England Families Study Project, 1641–1700, a successor study project to the Great Migration period; Families of Western Massachusetts in 1790, which captures families heading west at the time of the 1790 census, and the Early Vermont Settlers to 1784 which cover families that settled Vermont, the last frontier of New England. Website: We offer family history researchers the most-used genealogical society website in the world. AmericanAncestors.org provides access to more than 1.4 billion records spanning twenty-two countries covering the United States, the British Isles, continental Europe, and beyond, including one of the most extensive online collections of early American genealogical records, the largest searchable collection of published genealogical research journals and magazines, and the largest collection of U.S Catholic records online. 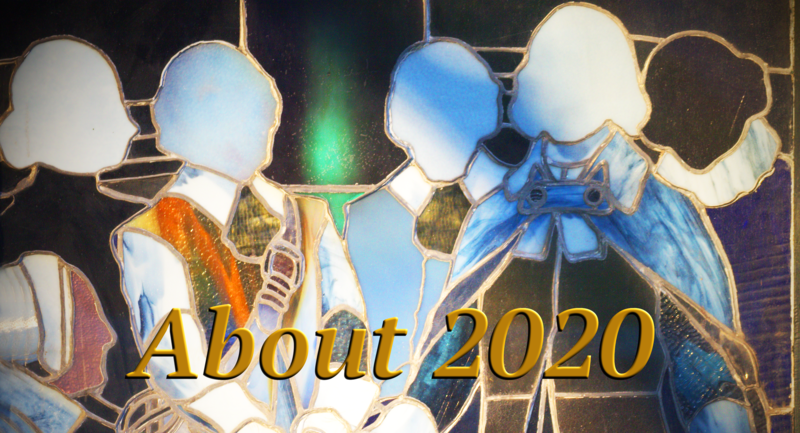 Education: We provide exclusive, in-depth learning opportunities through more than 150 annual lectures, seminars, intensive research programs, tours, online courses and webinars, and special events designed to benefit family history researchers of all levels. Research Center: Named by USA Today as a top 10 world destination for family history, the public, members and visitors are invited to visit our eight-story library and archive where we offer the largest collection of original family history research materials in the country. Our collection, which continues to grow through acquisition and preservation activities, dates from the fourteenth century to the present and spans North America, Europe, and beyond. It includes more than 28 million diaries, letters, photographs, and other manuscripts, and more than 200,000 books and microforms.